Please mind your own business, France! “Our country is a good student when it comes to passing laws. What is missing is their implementation because of the lack of political will” says Daniel Lebègue, chair of Transparence France. One of the world’s biggest exporters, France is not doing nearly enough to fight and prevent foreign bribery, say the OECD’s and Transparency International’s latest reports on the implementation of the OECD anti-bribery convention. Foreign bribery is the plague of our globalised world and everyone pays the price, starting with the poorest and most vulnerable. France is a significant player in the global economy (5th exporter of the OECD, 6th of the world), which gives the country the leverage and the responsibility to engage in the fight against foreign bribery. It is a land of big business conglomerates, many of which operate abroad, and particularly in risky sectors such as defence, construction and energy. Needless to say that the risk of being confronted with bribery is very high. Business executives, surveyed for the Bribe Payers Index 2011, see French companies as relatively disposed to engage in bribery (France ranked 11th out of 28 countries and 5th out of the 7 EU countries). Recent reports also point to the fact that French companies are not transparent enough about their operations and do not have adequate anti-corruption programmes. According to TI’s Transparency in Corporate Reporting (TRAC) only one out of seven French companies (France Telecom) came in the top 20 most transparent companies (out of the 105 biggest publicly listed multinational companies), and TI UK’s Defence Companies Anti-corruption Index 2012 demonstrated that six out of seven French defence corporations do not disclose enough information about their operations, policies and risk management. Despite French companies’ considerable position in the global economy, France does not nearly do enough to prevent its companies from offering bribes and engaging in corruption. Since the country ratified the OECD Anti-bribery Convention in 2000, only 33 foreign bribery proceedings have been initiated and five convictions were proclaimed, of which only one, still pending, concerns a legal person. Most of these convictions are directed towards SMEs and relate to minor affairs. Compared to the USA’s 275 cases, it is fair to say that France is underperforming. Are some companies too big to be judged? Some facts can help us understand why the French judicial system is so slow and reluctant to prosecute corrupt companies. First of all, the judiciary is not truly independent from the executive power and lacks adequate resources, which makes it easier for the other branches of government to control investigations. Most affairs are just swept under the carpet. This blind alley is reinforced by the abusive use of the classification of documents covered by the secrecy of defence, the “secret défense”. Also, the dual criminality requirement still exists in the French legal system, which makes it impossible to investigate bribery cases that occurred in countries where foreign bribery is not an offence. Moreover, the sanctions proscribed by French law are far from being dissuasive, proportionate or effective. The maximum fine a company risks is €750 000 which is way too little to influence big multinationals. 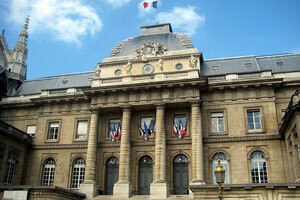 French companies can easily get away with corruption and bribery. Beyond the moral case, there is not much stopping them for doing whatever they can to obtain contracts. More French companies have been prosecuted abroad than in France! It is imperative for France to start living up to the standards OECD Anti Bribery Convention that it ratified and to deal with bribery as a serious crime.